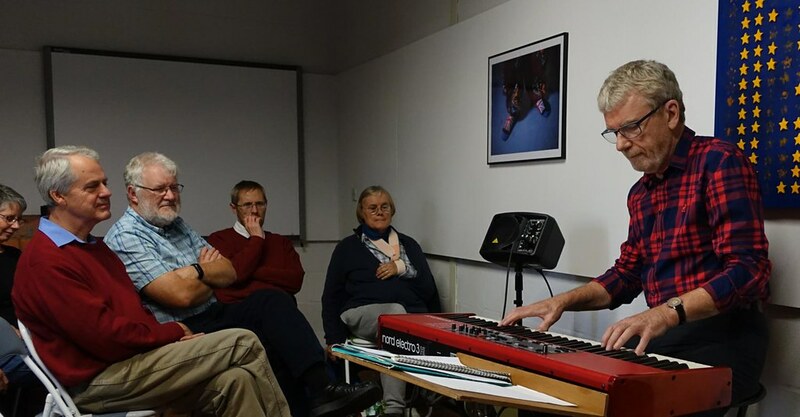 Many thanks to John who introduced Pete and had also organised the gig and of course to Pete for an excellent performance – as John said (I paraphrase) what a great way to spend a Saturday afternoon! Many thanks, Seán! A great review (and photo) for those of us who couldn't be there. On one occasion I managed to get Pete to write down his set list for me. (OK, Yes I do still have it ) It was the first performance of some of the songs from Winter Spring and my excuse was that I didn't know the titles. To my eternal discredit I still managed to type it up incorrectly online. Cheers Jan - and thanks for the proper setlist Pete!